Dell Scott (Hart) is on the hunt for a job—something he does not want, but something required to assuage his parole officer. Meanwhile, he wants to be a good father to his son (Jahi Di’Allo Winston) despite not providing for his family up to this point. Phil has lost faith in life since his accident, so he lies in bed blasting opera all day. Dell gets the job as Phil’s carer, in spite of having no experience, and the two learn to grow and become unlikely friends. Phil teaches Dell the beauty of opera, and Dell teaches Phil how not to take opera too seriously. Groundbreaking stuff. 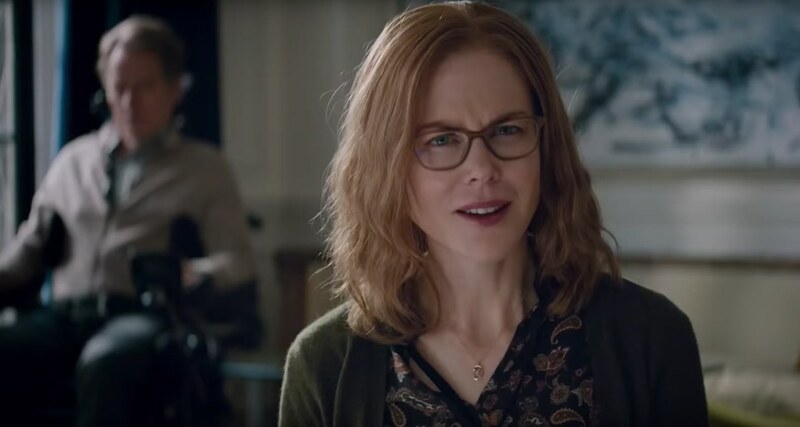 Along the way, female characters receive thankless roles, an extended bit about a catheter makes it more difficult to forget Hart’s recent controversies, and all manner of mawkish sentimentality is conjured up. It is all very trite, and it plods along for more than two hours. Simple, avoidable conflict “moves” the story along, and our dual protagonists advance as humans in a flagrantly easy manner. For those not seeking a challenging experience, The Upside might fit the mold. But the classist implications and the stereotyping do not make it apparently palatable. The upside of The Upside is that Cranston and Hart are serviceable in their roles. Both show about the same level of charisma as their French counterparts, and they keep the movie watcheable. But the charm of leads alone is not enough to salvage the charmless narrative they find themselves in. By the end of the film, when narrative threads are wrapped up in factory-produced bows, each scene reads like a Hallmark card with no human sentiments written on the inside. An equal analogy could be made using Phil Lacasse’s epistolary relationship. He can recite Yeats for his pen pal’s pleasure, but he comes up resoundingly silent when it comes to creating a genuine poetic thought of his own. The Upside puts emotional signposts on the screen. Phil is mad, so Dell helps purge his frustration by breaking expensive objects. When that scene adequately portrays that emotion, the film moves on to the resolution to that purgation: music and partying and laughing. The film can recite familiar feelings, but it doesn’t produce much out of that. It is a film which is soured by its sweetness.